We all know that shopping for gluten free items can really be a time consuming task. I usually start out in the gluten free aisle, but then venture into the other areas to read labels and determine what else I can add to my cart. In the Midwest, we have a grocery store called Piggly Wiggly. There is one right around the corner from my office that I often go into in the morning and pick up a few things for lunch. When I was there the other day I ran into the owner of the store. He happily showed me the gluten free product I was looking for and proceeded to tell me that his daughter is gluten intolerant and they had several things in the store that would make shopping easier. He took me to an aisle to show me how they tag all of the items in he store. Let me tell you………these are awesome and REALLY help with shopping. I have actually started doing more of my regular grocery shopping there. Check out this label in the Antioch,IL store that makes shopping SO much easier. 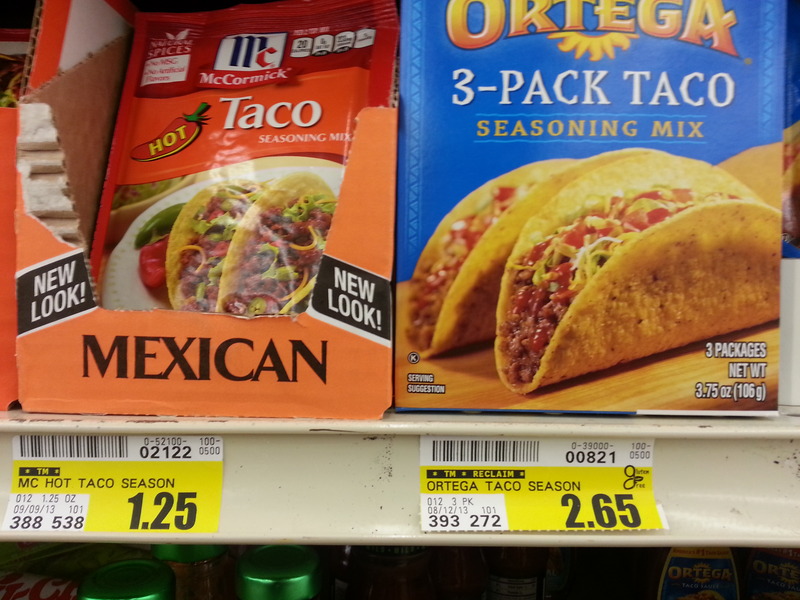 This shows two different dry taco mixes that are in the regular aisle. Normally I would read the label for any odd ingredients, scan the label with one of the apps on my phone and possible call the company to see if I could actually use that product. See the GLUTEN FREE logo just above the price? Piggly Wiggly has their distribution location check to see if the manufacturer has indicated that the products is gluten free. If they have, the “gluten free” logo is added to the sticker. The items in the store without this logo on the sticker either are not gluten free OR there is no information from the manufacturer specifically about allergens. I am sure you can imagine how this can speed up shopping! I do not know if this is something that all of the Piggly Wiggly’s have done, but the three locations in my neck of the woods (Antioch, IL, Zion, IL and Lake Geneva, WI) all have these tags – if you have a Pig by you, I’d go check it out!! Live and LOVE Gluten Free!! The Pig here, in this spot on the map, offers an aisle in the store that is dedicated gluten free. 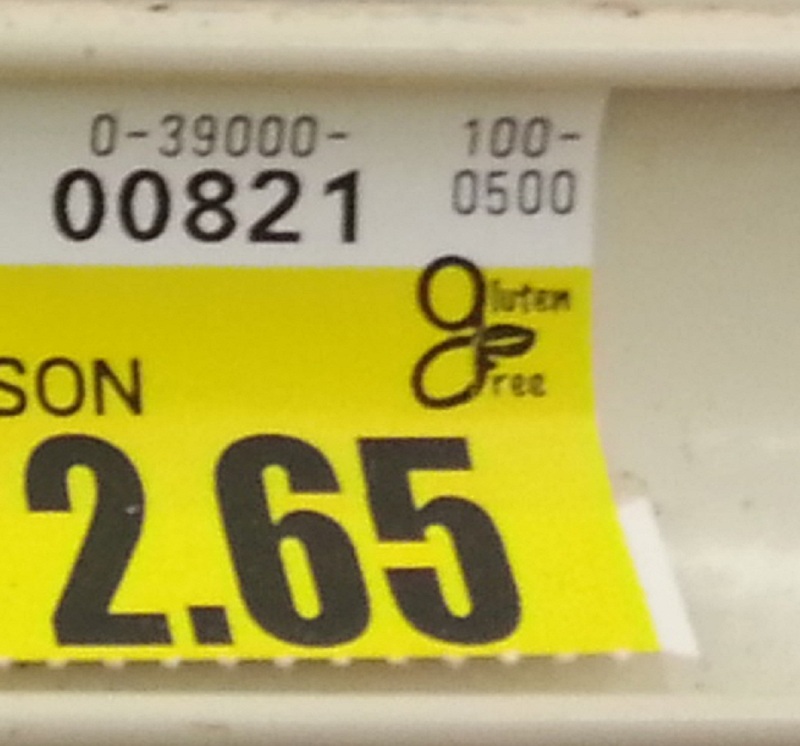 I haven’t noticed any label on the price placard, but I have found gluten free products throughout the store. I’ve seen this on a couple different Pig stores now……I am thinking it should be in all of the stores, but am not really certain. It REALLY is helpful! Live and LOVE Gluten free! The store was undergoing a change in ownership/management. During a recent supply run to the pig, i noticed the emblem on the shelf label. This is very convenient.